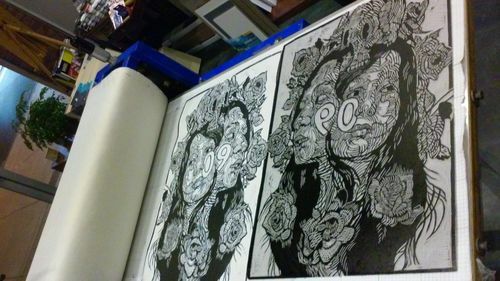 Some of the prints are now posted for sale!!! 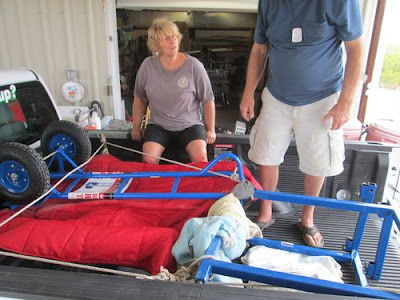 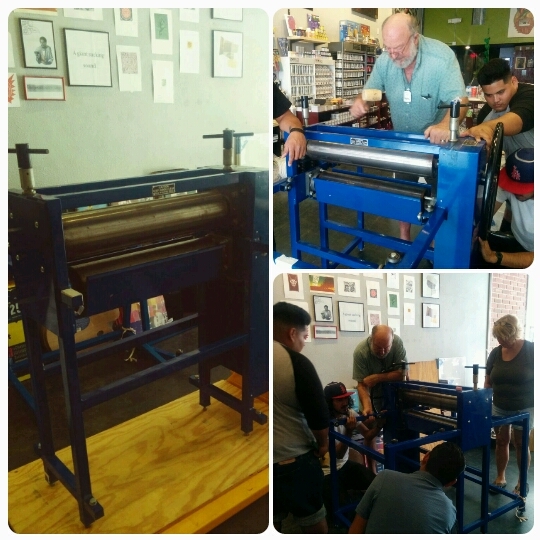 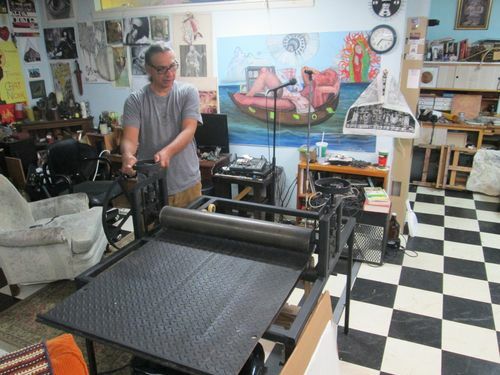 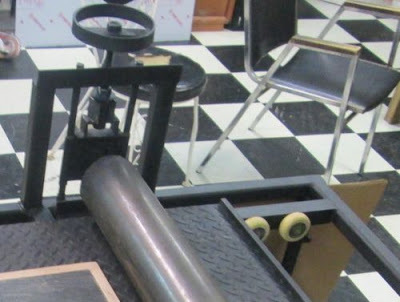 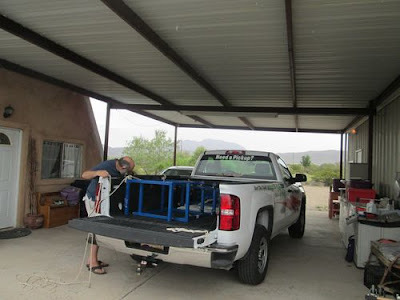 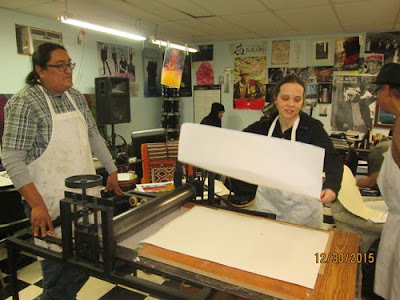 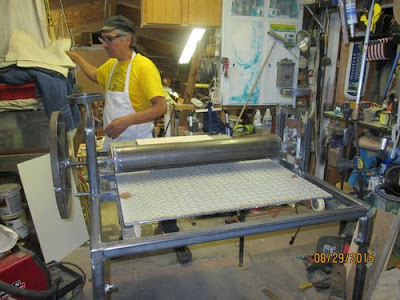 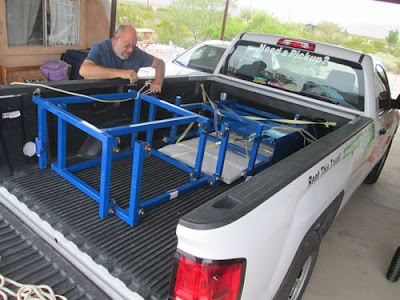 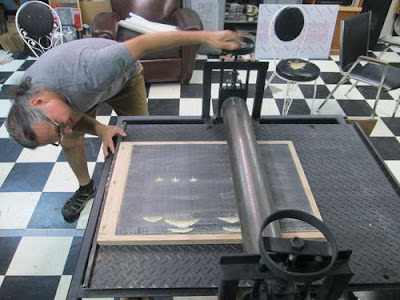 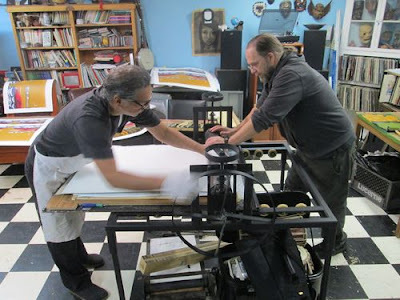 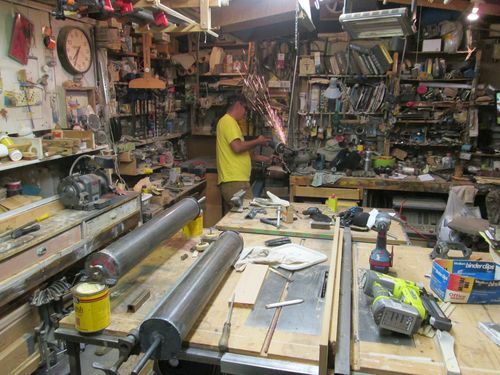 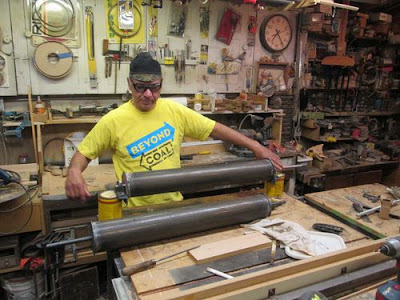 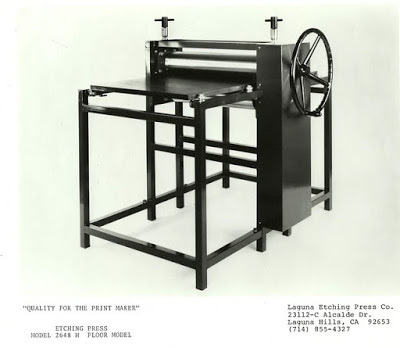 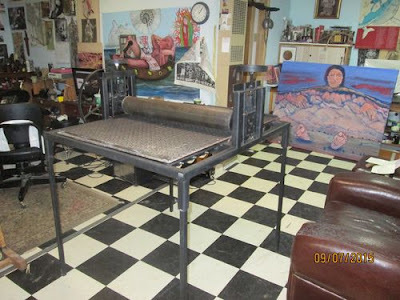 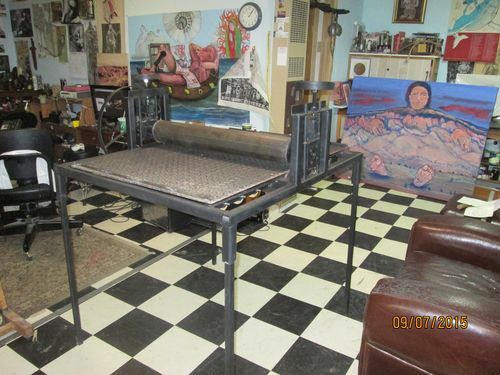 Henry Morales of Albuquerque had a friend build him a homemade press, and printed his edition at his home studio. 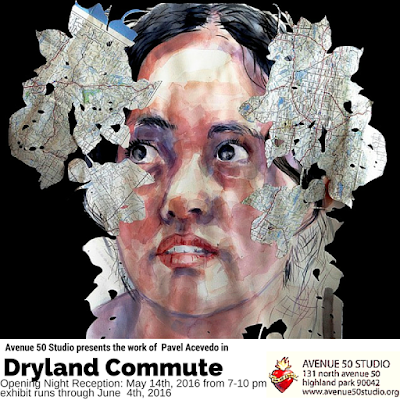 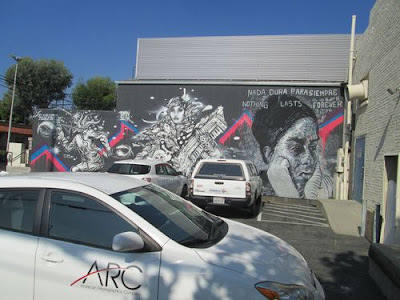 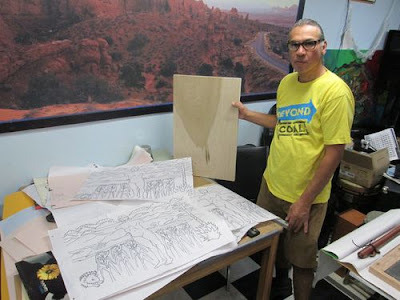 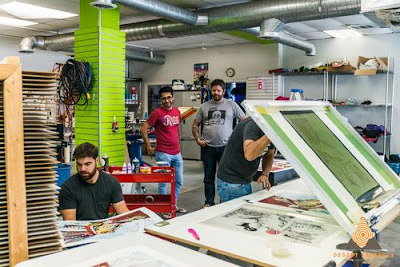 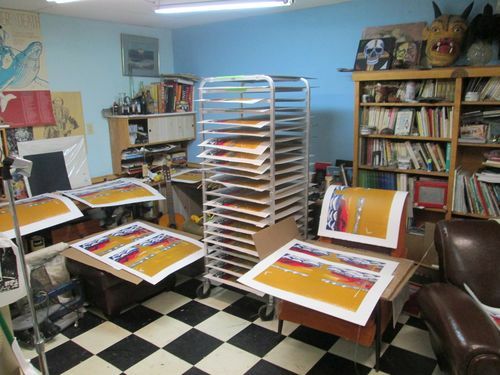 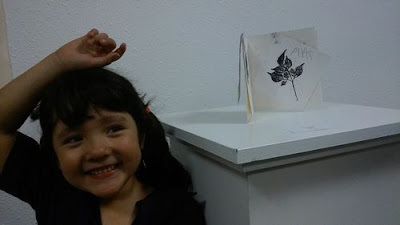 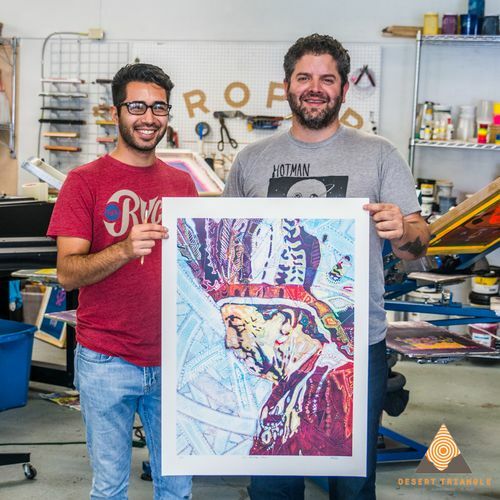 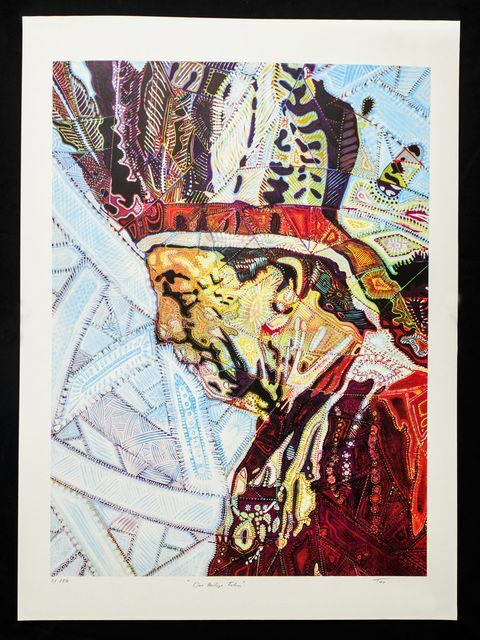 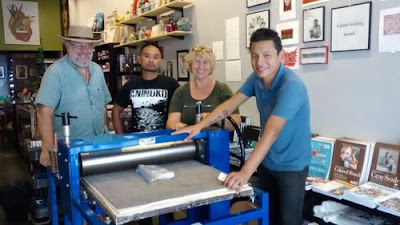 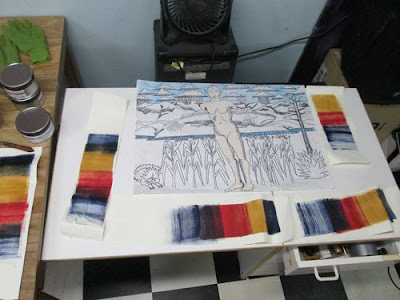 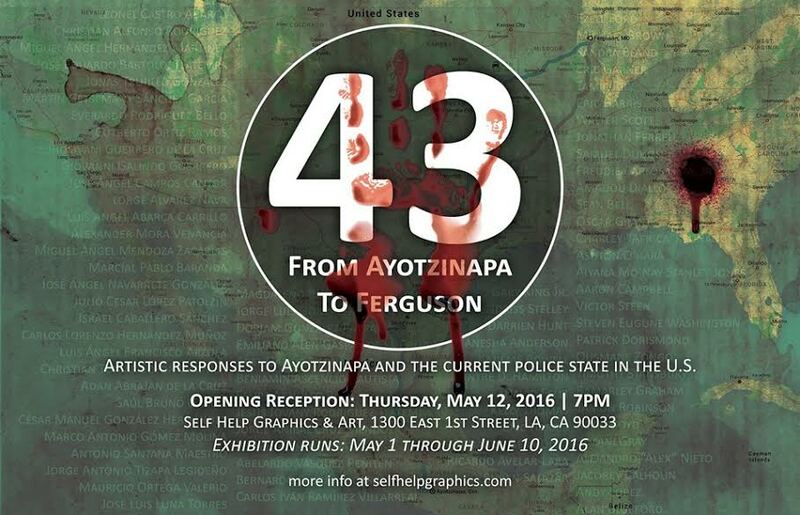 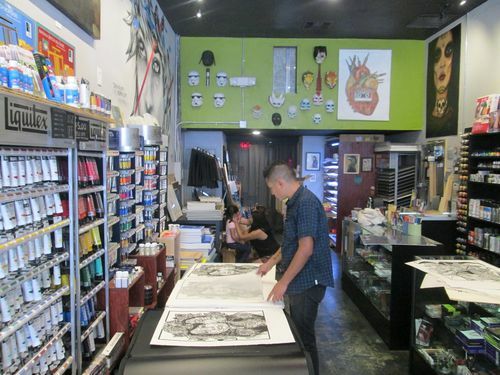 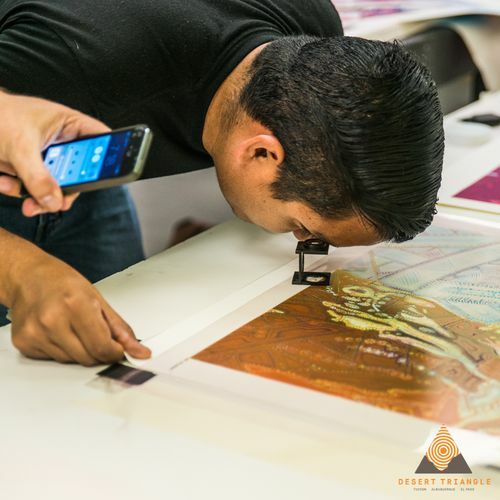 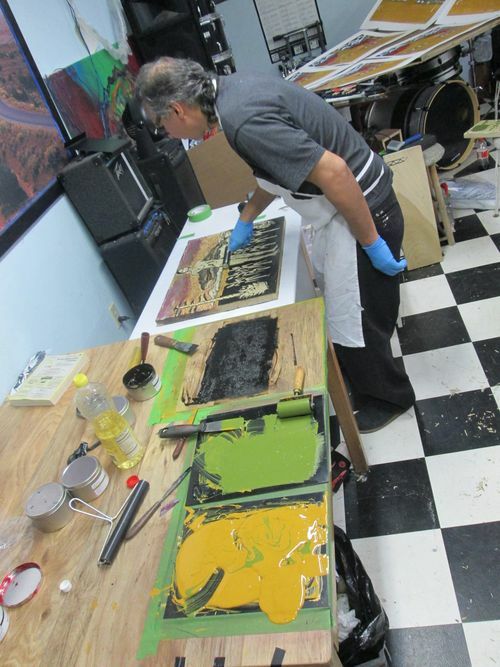 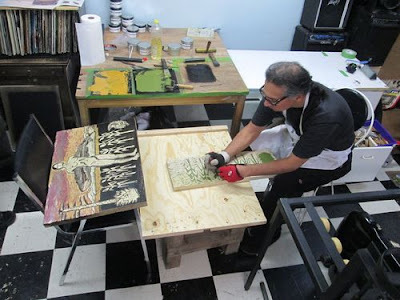 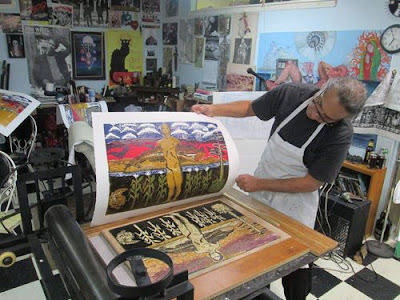 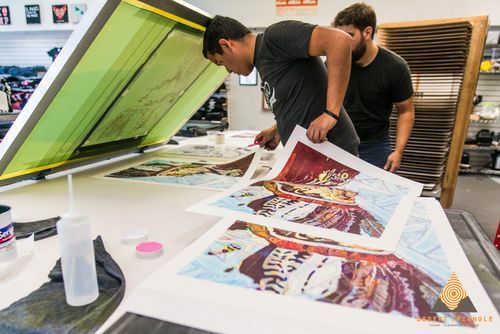 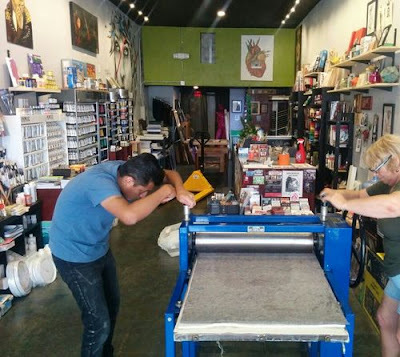 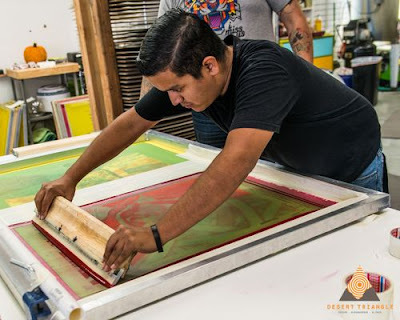 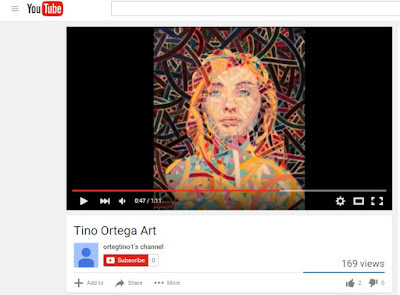 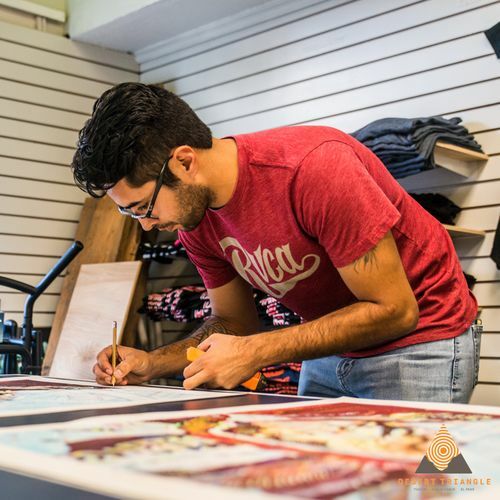 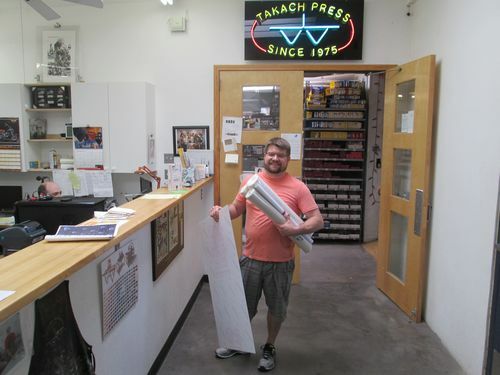 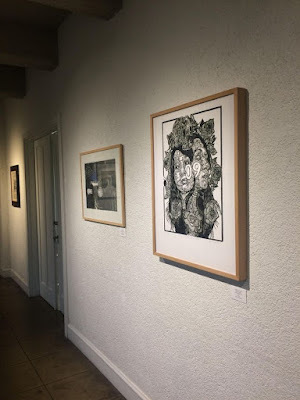 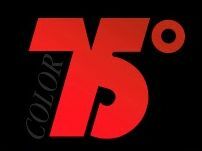 Pavel Acevedo of Riverside, California, pulled his print at Urge Palette art store (Riverside). 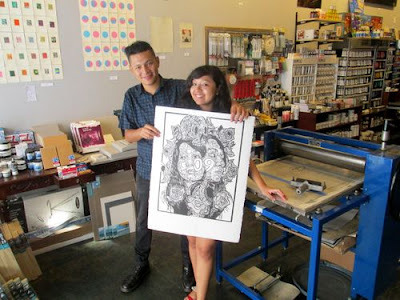 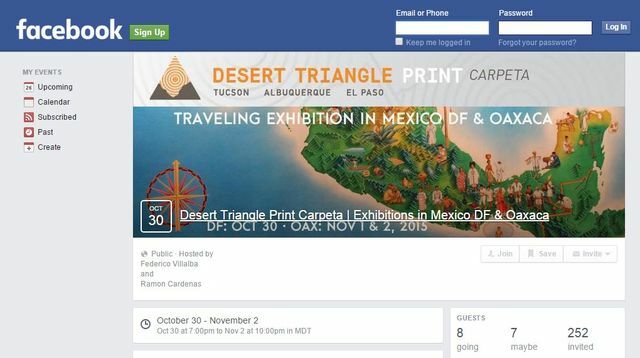 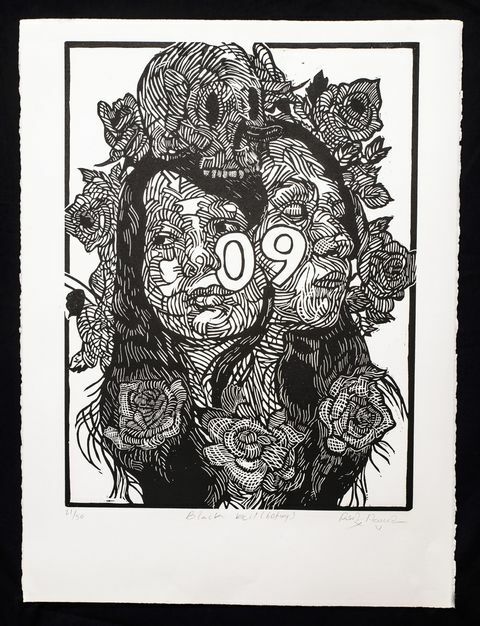 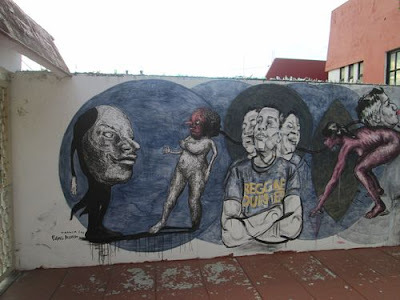 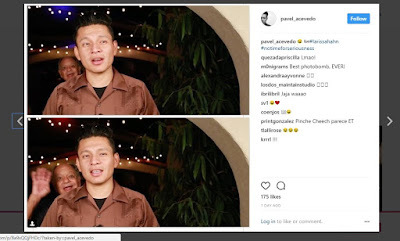 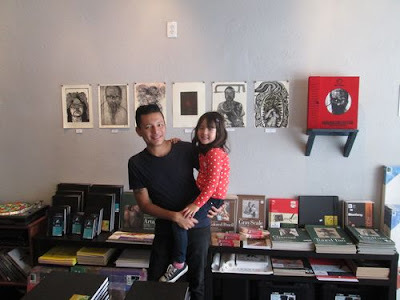 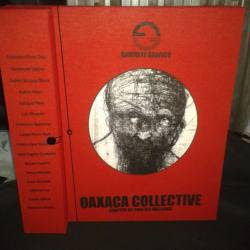 Pavel is originally from Oaxaca, which is a printmaking Mecca right now. 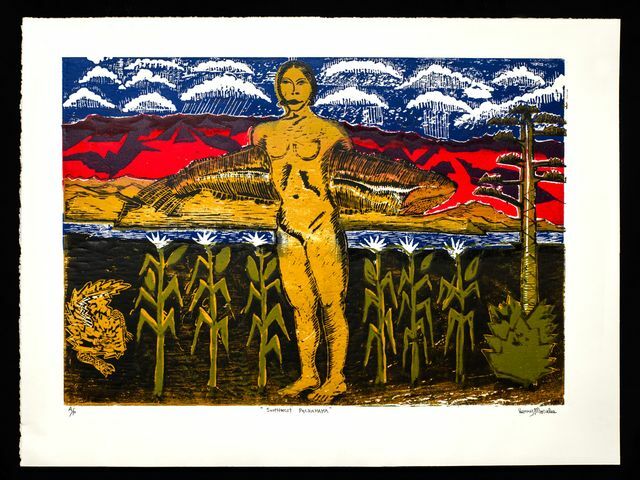 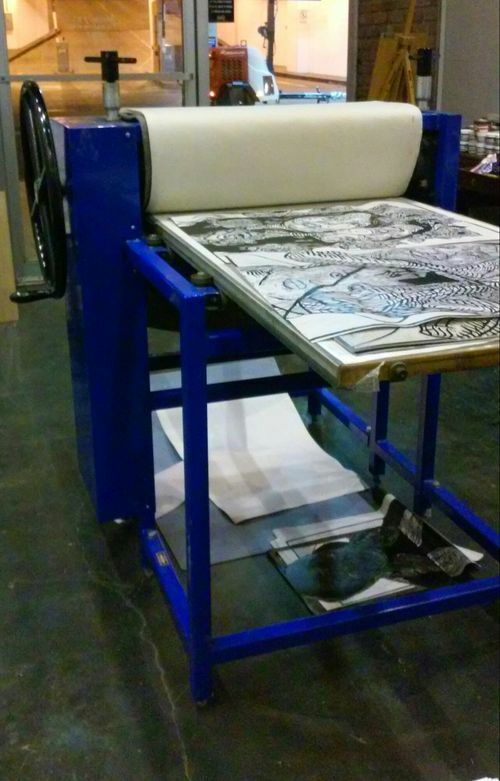 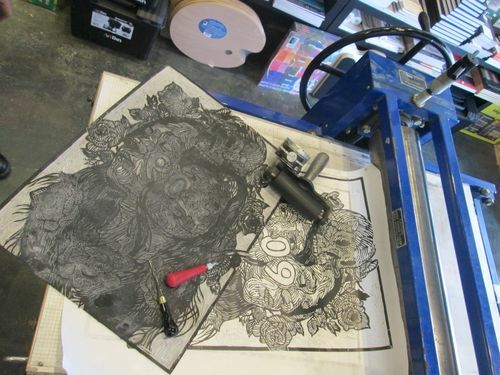 Deborah Cool-Flowers drove her Laguna etching press out from El Paso to Riverside, and gave it to Pavel, to do this edition and more magnificent prints. 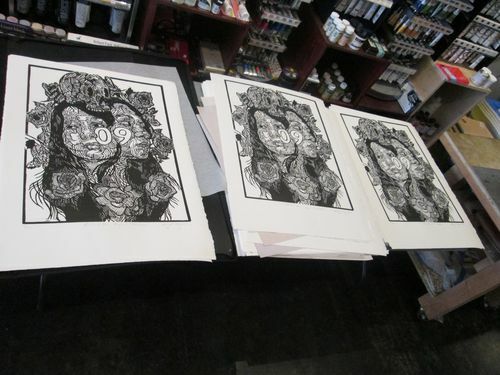 Pavel's prints for sale at BigCartel. 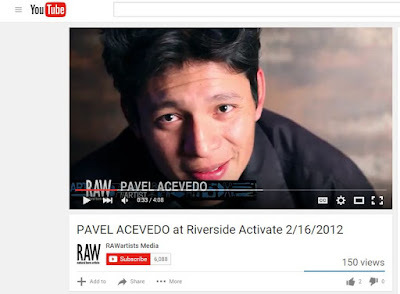 Also Pavel was interviewed on KUCR, the radio station for the University of California at Riverside. 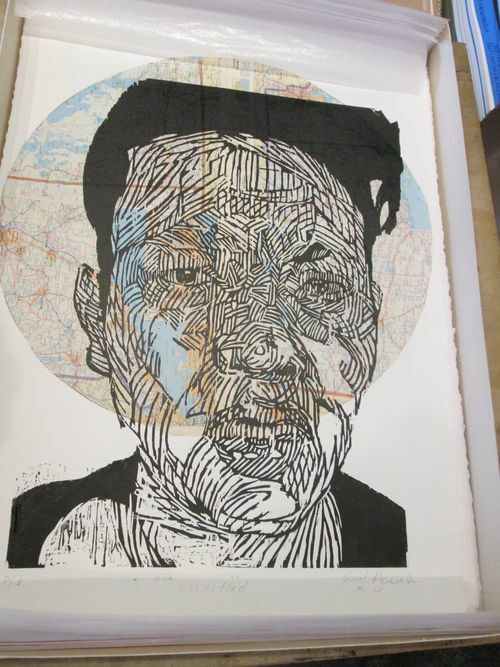 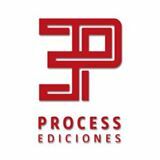 Pavel's print is now part of the permanent collection of the Riverside Museum of Art in California. 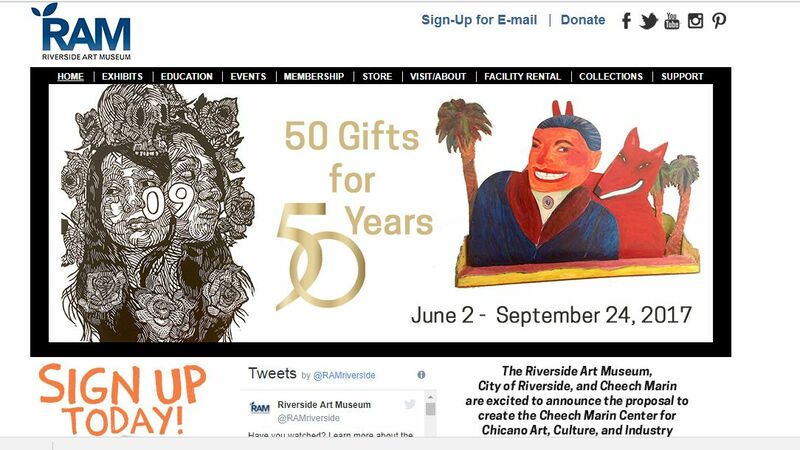 Moreover, it is currently displayed on the web banner, and also hung in the museum. 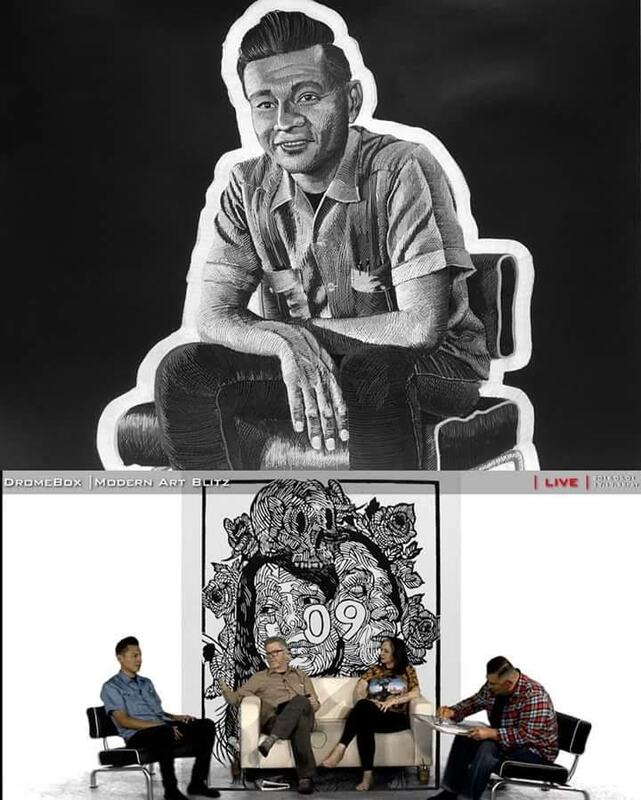 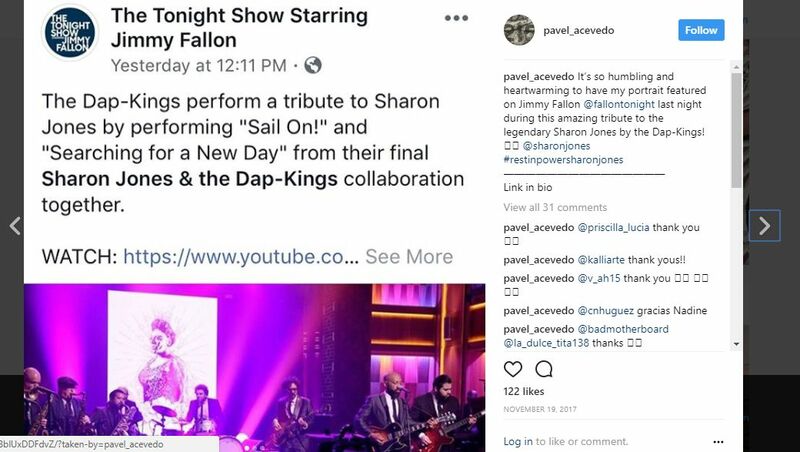 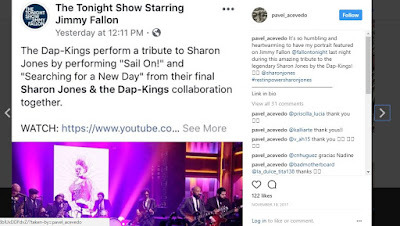 Update (Nov 19, 2017): Pavel's portrait of Sharon Jones was behind the Dap-Kings, as they played a tribute to her on the Tonight Show.